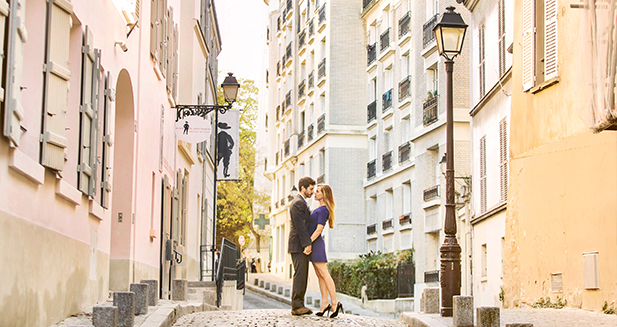 I just LOVE Eiffel Tower mini session! It is amazing how many gorgeous photos we can get in only 20 minutes. 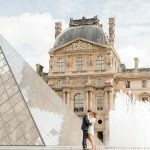 A perfect sunny morning, an adorable and very in love couple, and the most beautiful city in the world combined for some very romantic Parisian portraits! Today’s beautiful one-hour Paris portrait session took place on a gorgeous sunny morning at Trocadero, near the Eiffel Tower, as well as the main courtyard of the Musee du Louvre.